Here we go with another week of The Top 10 Show featuring John Rocha and Matt Knost. This week’s topic came from one of the patreons at the Boss Hogg Level meaning that it did not have an inspiration from the upcoming weekend. It started out as Undercover Movies and then the guys added the addendum to it that it had to be from “based on a true story” films. This made the list a difficult one to muster. Honestly, there were a bunch of films that I tried to stretch and make it fit the list, but most of them I wound up tossing out. For example, I thought about Trumbo because in it, Trumbo wrote movies under an alias. I know it does not really fit, but I considered it. Other films that I considered but eliminated because they did not really fit the category included All the President’s Men, Hollywoodland, Charlie Wilson’s War, Bridge of Spies, The Imitation Game and Snowden. Again this week, I was able to watch a couple of classics that I hadn’t seen before that wound up making the list. I will miss this time as next week, I will be unable to do that since school will have restarted. Those will just have to be the films that I have already seen. Top 10 Undercover Movies that are Based on a True Story. #10. American Made. 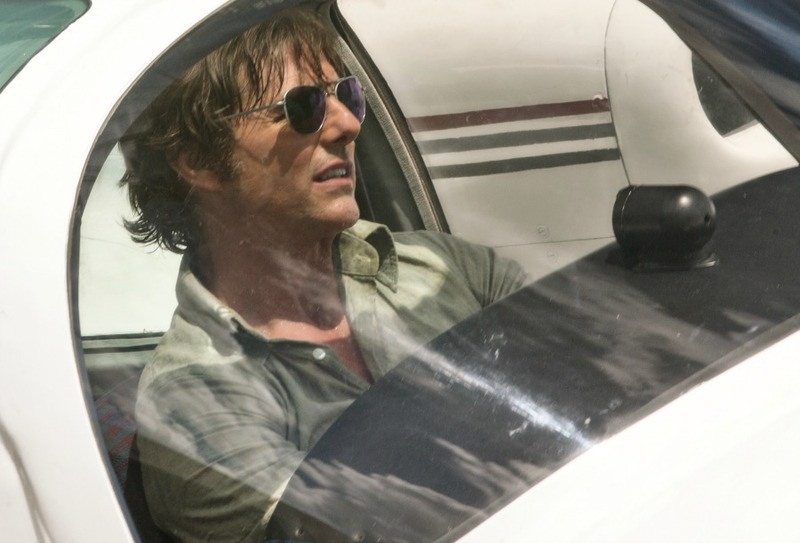 Starring Tom Cruise as Barry Seal, a pilot who was recruited by the CIA to fly reconnaissance missions on some countries in Central America. However, Seal wound up doing way more than that as he started flying drugs into the country for Noriega and he became ungodly wealthy. Cruise does his normal solid job, though the film was not a huge success. #9. Imperium. I had forgotten about this movie completely until the guys brought it up on their show today. 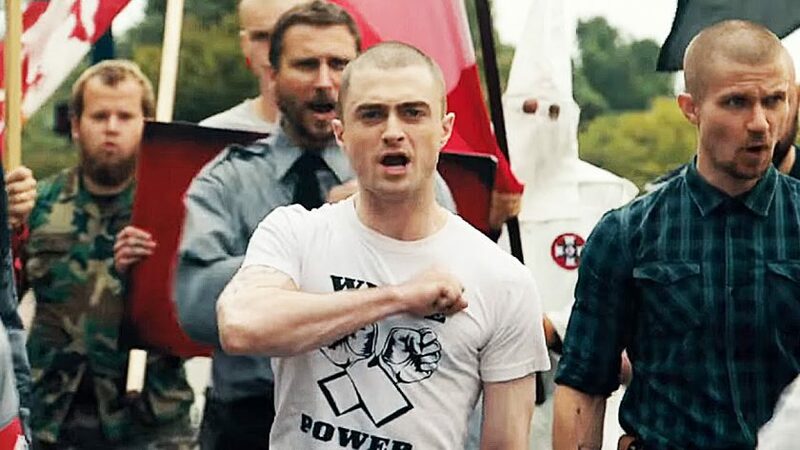 Daniel Radcliffe is amazing as Nate Foster, an FBI Agent who had to infiltrate a group of white nationalists. Although the character of Nate Foster is not a real person, the story itself has parts of it that are true and so fits into the category effectively. Toni Collette and Nastor Carbonell also appear in the movie. #8. American Hustle. One of David O’Russell’s films that is filled with oddball characters and big name celebrities. Jeremy Renner, Christian Bale, Bradley Cooper, Jennifer Lawrence, Amy Adams, Robert DeNiro, Michael Pena, and Louis CK are all in the film. It is a dark comedy focusing on Irving Rosenfeld and Sydney Prosser, two con artists who were caught by the FBI and forced into working for them in a sting operation to bring down New Jersey mayor. This is base on the Abscam case. #7. Snitch. One of the more unusual films in the oeuvres of Dwayne “The Rock” Johnson. It was one of the earliest examples that The Rock had some acting chops and might not always be seen as just a big action hero. John Matthews begs the DEA to be allowed to go undercover in exchange for the release of his son who had been caught with a package of drugs despite not knowing what was in the package. The film involved the Mexican cartel and The Rock is able to expose a major player, only making things more dangerous. #6. The Infiltrator. Another film that I had not thought about until John and Matt brought it up today. I did enjoy the film, featuring Bryan Cranston as US Customs agent Robert Mazur who went undercover to infiltrate the drug cartel of Pablo Escobar. Mazur became a close confidant and friend of Escobar which led to the bust of many of the members of the cartel and members of the Bank of Credit and Commerce International at a family wedding. 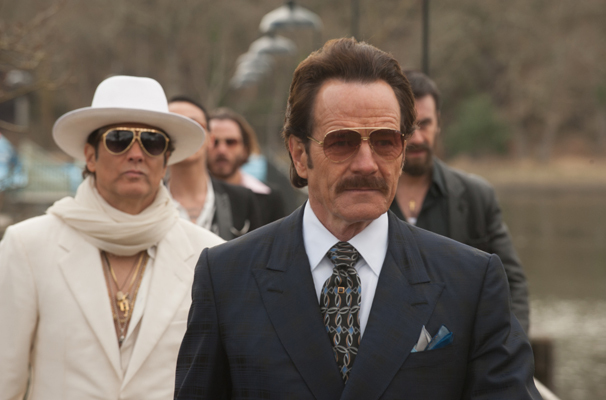 Cranston is sharp and strong in the film as Mazur, under the alias of “Bob Musella,” wound up in constant danger. #5. Serpico. This was one of the films I had not seen before today. Again, I had a working knowledge of it and I knew it was one of the amazing string of performances in the 1970s for Al Pacino, but I had not seen it until now. Frank Serpico, a clean cop, who refused to take the money offered the police to look the other way etc. He was idealistic and the film is really about the loss of his innocence and his idealism. The scene where Frank gets shot in the face is a tough scene to watch and it makes you wonder what the cops might do to maintain their status quo. #4. The Imposter. Here is my cheat for this list. The Imposter is a documentary that tells the story of a life long criminal and con man named Frédéric Bourdin. Bourdin, in an attempt to get out of the life that he was living in Europe, pretended to be the missing son of a family in Texas. So yes I know that pretending to be someone else is a bit of a stretch for going undercover, but this documentary is so compelling and brilliant that I am willing to expand the definition for this film alone. The film is unbelievable and thrilling. It brings out emotions and makes you wonder exactly what happened to the 13-year old boy Nicholas whom Bourdin impersonated. And what exactly did the family know about all of this. Certainly an amazing story. #3. BlacKkKlansman. The brand new Spike Lee movie is the most recent film that fits this category. 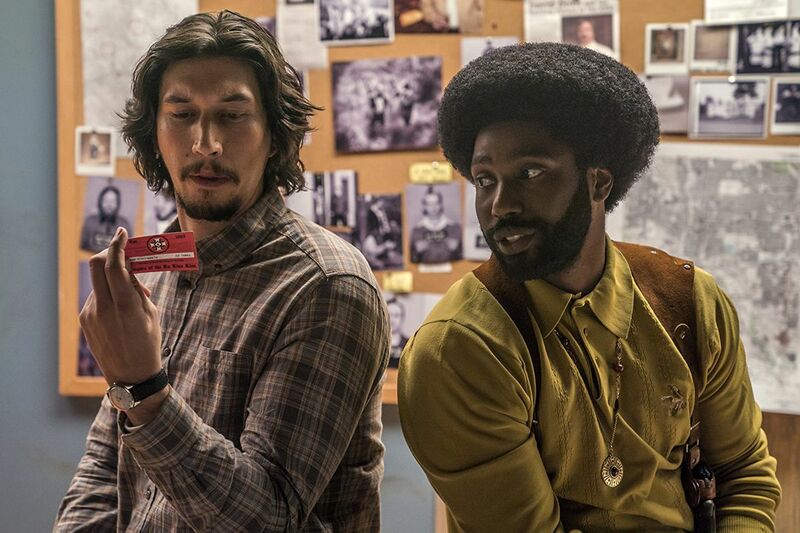 Spike Lee tells the story of African-American police officer Ron Stallworth who, by phone, was able to get the local branch of the Klu Klux Klan to agree to meet him for potential membership. Of course, his black skin was going to be a problem. Stallworth convinced another fellow officer to play the role of Ron Stallworth in person so they could infiltrate the KKK. The scam was so successful that the real Ron Stallworth actually carried on conversations with Grand Wizard David Duke. This film has major implications for today’s world and is not shy in showing them. This is a tremendous film and one of the best of 2018 so far. #2. Argo. The Best Picture Academy Award winner was directed by Ben Affleck and told the story about how a group of Americans were rescued from Iran during the time of the Iranian hostage crisis. Tony Mendez went undercover into Iran playing a director of a film looking to shoot in the country. In order to make this seem real, they had to go through the real set up of a big Hollywood blockbuster. The film is stolen by great performances from Alan Arkin and John Goodman as the men backing and writing the project. I found this movie completely thrilling and it was almost my number one film on this list. #1. Donnie Brasco. However, the second film I watched today was Donnie Brasco and it was really wonderful. It was also both John and Matt’s number one and it was a well deserved ranking. FBI agent Joe Pistone went undercover in the New York Mafia by hooking up with Lefty (Al Pacino) and using the name Donnie Brasco. As the days passed, Joe was growing closer to the low level Mafioso Lefty who seemed to always be passed over when the positions above him went to “swim with the fishes.” Joe had to weigh his job responsibilities and that of his family against his new found friend. I was riveted with this film and it took that number one spot away from Argo. Honorary Mention: Black Mass and Bad Country.